Easter is upon us and our HB Littles are SO EXCITED to celebrate! Here is a list of all the wonderful fun you can have this Easter in Huntington Beach! Easter Egg Hunt and Family Fun Day – March 31 9:00 am – 2:00pm FREE Provided by the City of Huntington Beach and the Kiwanis Club. Includes: Easter Egg Hunt, Easter Bunny Pics, Game Booths, Pancake Brunch, Live Music and more..
Hyatt Huntington Beach Easter Celebration– April 1, 10:00am – 2:00pm WITH PURCHASE OF BRUNCH Includes Egg Hunt, Arts & Crafts and Movie Screening. Easter Eggstravaganza at Sea Legs at the Beach– April 1, 10:00am Sharp! FREE Provided by Sea Legs at the Beach. Bring your own basket, there will be hundreds of eggs hidden all around Sea Legs. Meet the Easter Bunny and parents there will be $5 Mimosas all day! The Waterfront Beach Resort – April 1, seating times between 10:00am and 2:30pm (call to reserve) Includes Easter Egg Hunt. The Pasea Hotel – April 1, 10:00am- 2:00pm Includes Bunny Dot Painting, Suncatcher Making Workshop, Spring into Fun Games and Special Apearance by the Easter Bunny. Hyatt Huntington Beach Easter Celebration– April 1, 10:00am – 2:00pm Includes Egg Hunt, Arts & Crafts and Movie Screening. Easter Egg Hunt and Family Fun Day – March 31 9:00 am – 2:00pm FREE Provided by the City of Huntington Beach and the Kiwanis Club. Also includes: Easter Egg Hunt, Easter Bunny Pics, Game Booths, Pancake Brunch, Live Music and more..
Surf City Nights on Main Street- March 27 5:00pm – 8:00pm FREE During the street fair. Activities, Food and Shopping. 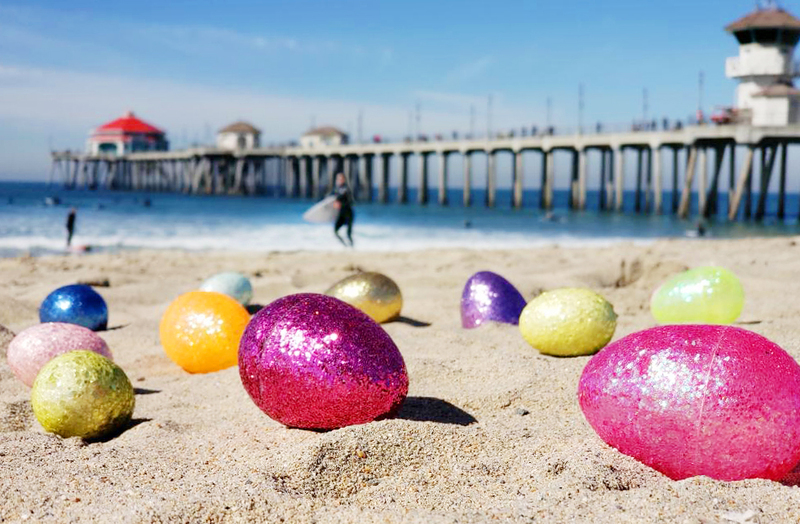 Wishing you a Hoppy Easter Huntington Beach! How will you celebrate this year? Let us know in the comments! ps. 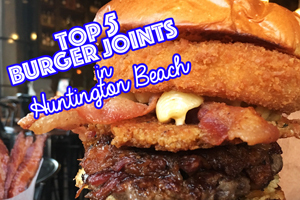 If YOU have an activity that would fit in these categories and is in Huntington Beach let us know! 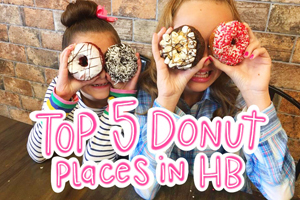 We’d love to add to our list! 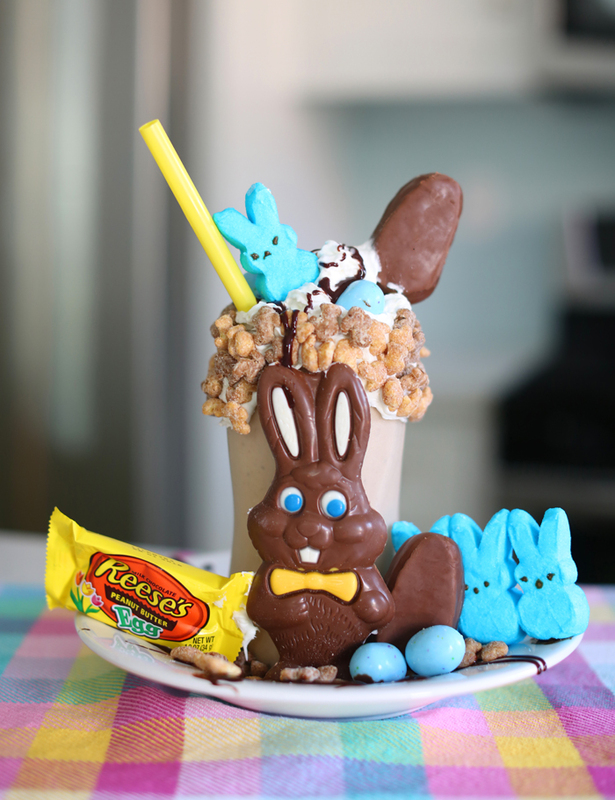 If you’re searching for a fun yummy treat to make with your kids this Easter check out these fun DIY EASTER MILK SHAKES HERE! « DIY Shamrock Glitter Tee! The SeaLegs at the Beach Easter Egg Hunt was a scam! There were never any eggs! Lots of very disappointed kids and angry parents there this morning! Oh no! That is so sad! So sorry. How disappointing. No eggs? ?